Dazzle Guests This Christmas with Our Stunning Hever Dining Range. Take a fresh approach to Christmas dining this season with our elegant Hever Dining Range. Crafted from solid pine and featuring a modern yet sophisticated design, the chic dining set is perfect for creating a laidback and luxurious festive vibe. A wonderful space for family and friends to gather round whilst feasting on mince pies and sipping mulled wine, the Hever is available in a range of setups to suit all types of gatherings. At 180cm long, the table accommodates up to six diners, whilst the design with two extensions seats eight. A sleek bench is an optional add-on and is perfect for bustling breakfasts or festive brunches. 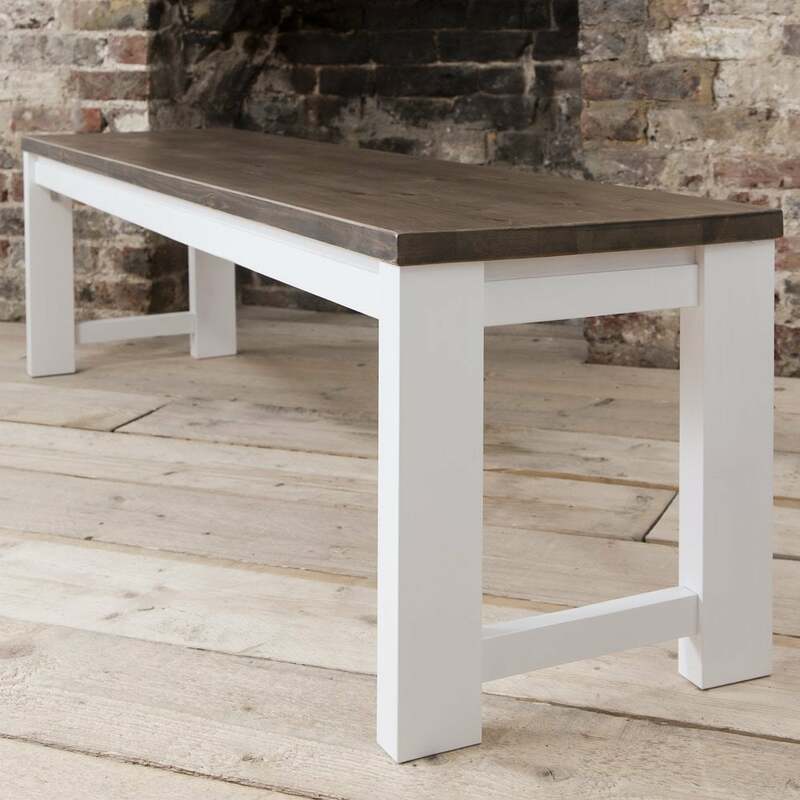 Effortlessly stylish, the table’s rustic pine top and minimal white base ooze a Scandinavian charm. Dining chairs with graceful, elongated backs add character to the contemporary design, making it a striking focal point guaranteed to impress guests over the party season. To channel a fresh and modern festive style, complement the Hever’s winter white accents with snowflake decorations and sparkling fairy lights and decorate the table’s natural pine top with cream candles, wooden reindeer ornaments and cute pinecones. Finish the look off by throwing a lavish sheepskin throw over the bench for a sumptuously snug, Christmas dining spot.